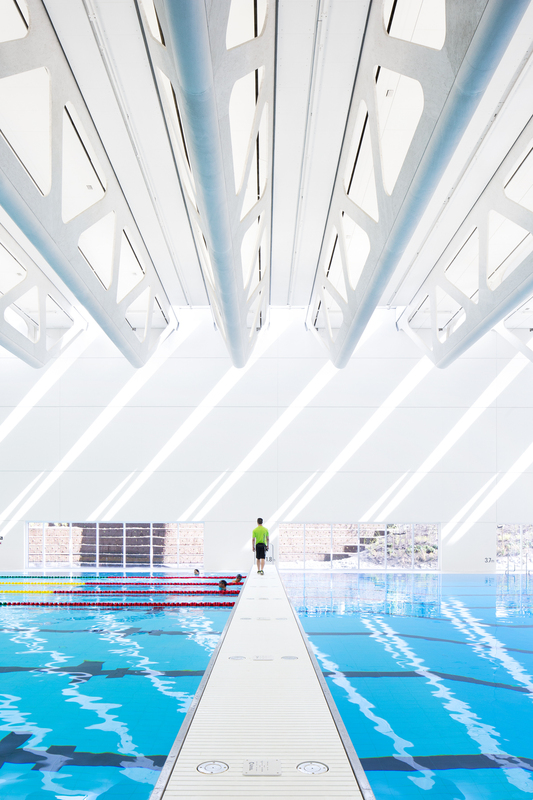 Local photographer Ema Peter is one of the very few female architectural photographers in North America, but that hasn’t stopped her from becoming a finalist in the prestigious Architizer A+ Awards. The renowned competition promotes and celebrates the year’s best architecture. 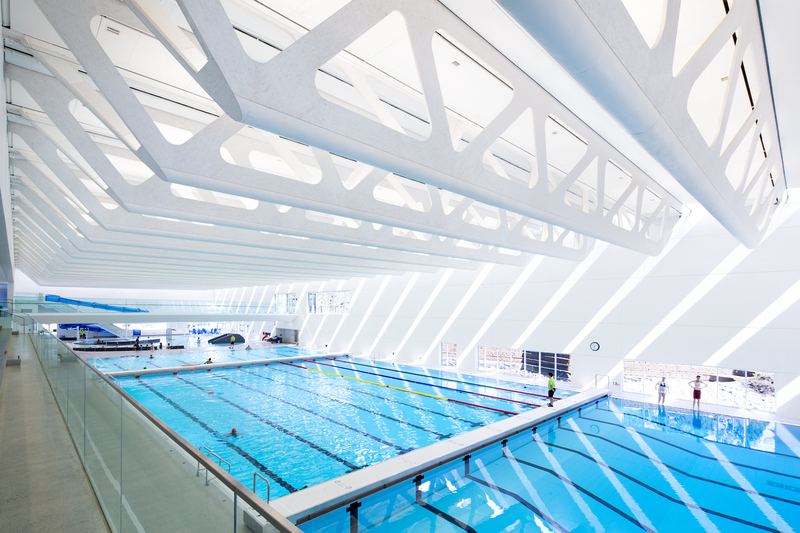 And Ema has scored a spot among the prestigious competition’s finalists thanks to her work as the lead photographer for the new Guildford Aquatic Centre, a 75,000 square foot expansion to the existing complex. Right now the Architizer Awards has its Popular Choice voting system running which you can access by clicking here. Voting runs until April 1 and the winner will be announced on April 12. 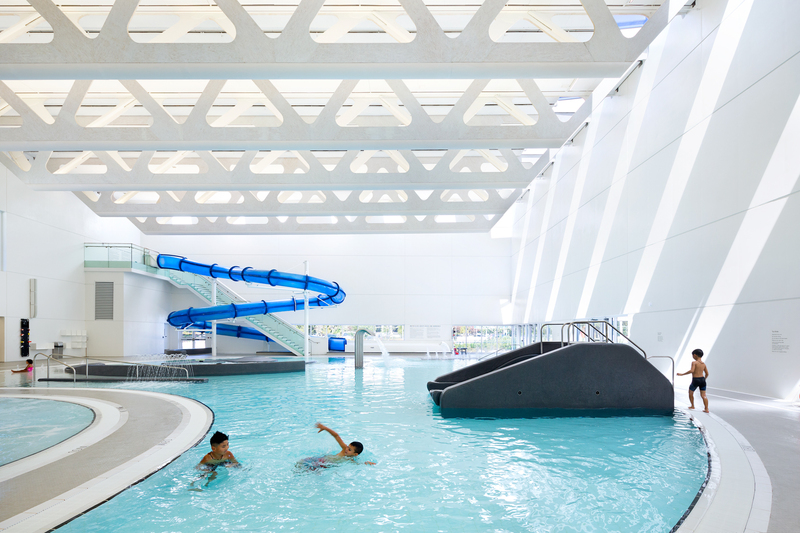 Designed by Bing Thom Architects and Shape Architecture, the beautiful facility provided a great opportunity for Ema to use her photographic expertise. Her photos illustrate the building’s unique design features, showcasing its significance in the community. This project has been selected as a finalist in two of the competition’s categories, one being video and the other as architecture/photography. This means she’s contending for the competition’s two sought-after awards including The Architizer A+ Jury Award and the Architizer A+ Popular Choice Award. Ema has a track record of making her mark all over the world. She started her career as a TV anchor on Bulgarian National TV and interned at Magnum Photo Agency in Paris. She was also the lead photographer for ad campaigns at the Hilton, Hyatt, and Fairmont. She’s actively involved with Vancouver’s architectural and interior design community. Ema was a design ambassador for IDSWest and participates as an alumni member. She also participates in TED Talks with the Design Build Research Institute. She also works with artists like Janet Echelman, Marie Khourie, and Douglas Coupland. Check out her work online and visit her Instagram by clicking here.